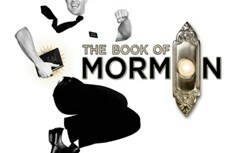 From the creators of South Park and Avenue Q, Broadway cannot stop talking about The Book of Mormon. Tickets to this hilarious musical at Whitney Hall are on sale now at SuperStarTickets.com. Whitney Hall in Louisville, Kentucky is about to get a taste of what all of Broadway can't stop talking about with the mega hit musical The Book of Mormon. From May 27th to June 8th, fans will have 16 chances to go see this hilarious blockbuster in Louisville. South Park creators Trey Parker and Matt Stone teamed up with Avenue Q's Robert Lopez to compose this old-style musical about two young missionaries that have been sent to Uganda in attempt to convert the citizens to Mormonism. Broadway alum Nic Rouleau, Pitch Perfect's Ben Platt and American Idol finalist Syesha Mercado all work together to create a hysterical dynamic in this show that pokes fun at everything from religion, sexuality, poverty, and race. The Daily Show's Jon Stewart calls The Book of Mormon "a crowning achievement. So good, it makes me angry." The Book of Mormon tickets go on sale today, January 25th, at 9am EST at SuperStarTickets. Don't miss your chance to see this side-splitting musical!